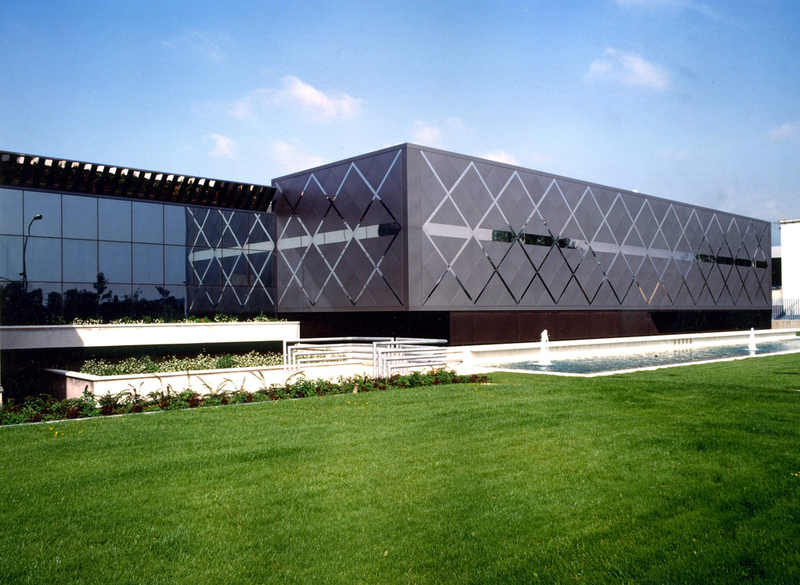 The building created for the world leader in the production of gold chains is composed of two factory spaces in close relation to one another: one measures approximately 17,000m², and is destined for production, while the other is approximately 3,000 m² and houses the management, administration and commercial spaces. 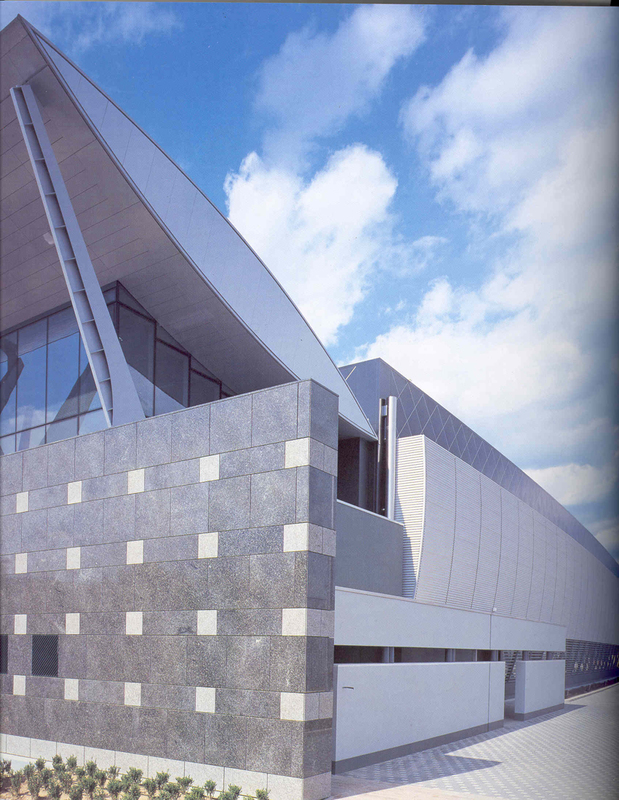 The external area of the management offices is walled in glass on three sides and covered by a “sail” , designed to be the “building image”. 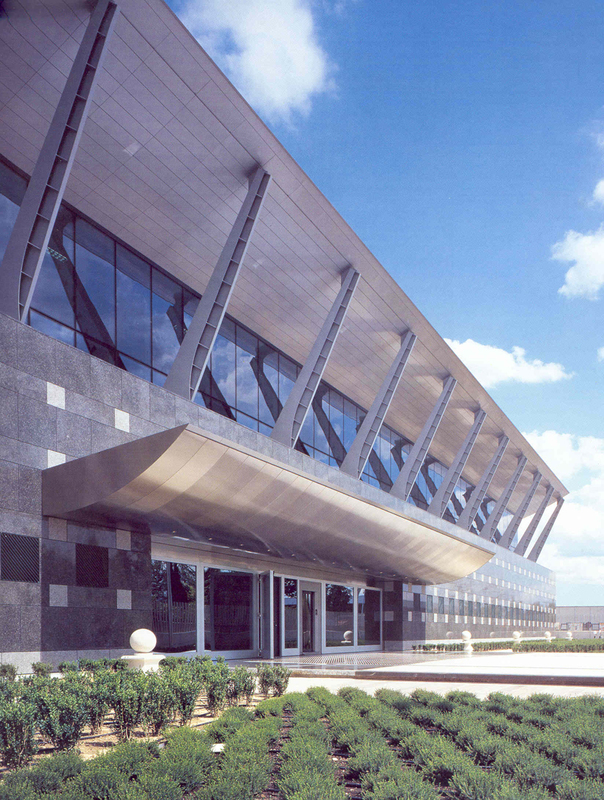 The sail is composed of a series of isostatic steel beams in an ogival shape, overlaid in Aluminum sheets that cover the entire front side of the offices. The overhang, indispensable for protecting the long side of the glass, is supported by a series of steel mounts, which in addition to their unique form lend a certain rhythm and large presence to the structure, but which is also difficult to see. 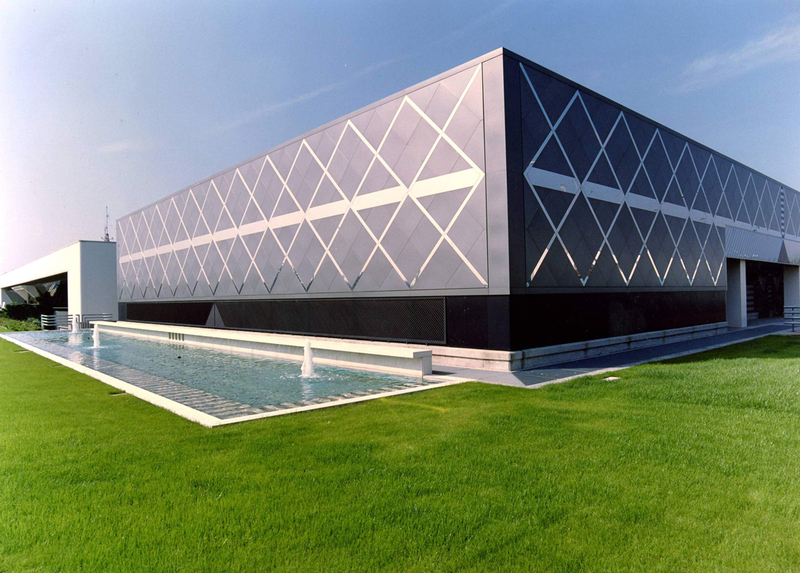 The delicate nature of working with precious metals required that the building be constructed like a “fortress” to guarantee the highest security standards. the foundations to the ground with small, curved elements in steel; the central section with a protruding, double-layer metallic covering; the crowning section, concluding with the retreating facade and a different structure covering.